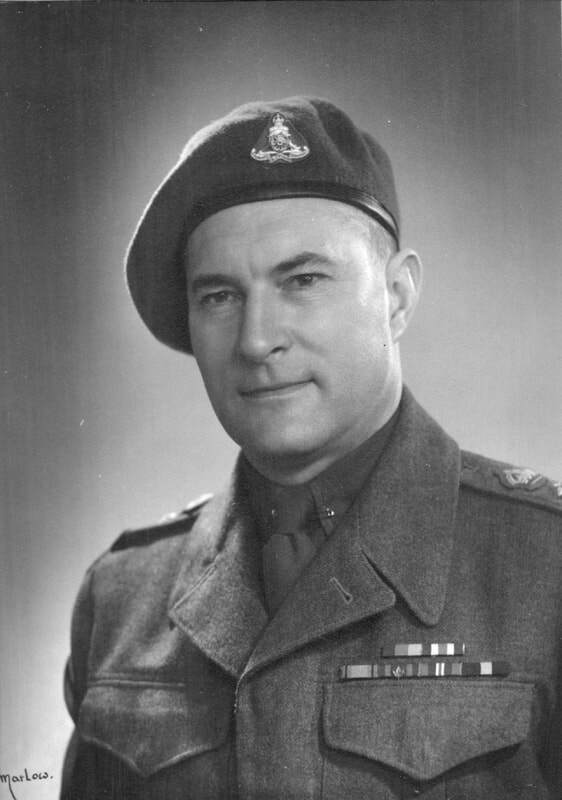 ​On 24 September 1949, Warrant Officer Class II Ernest H. Richardson CD promoted Warrant Officer Class I and appointed Regimental Sergeant Major. ​F.R. Graham appointed Honorary Lieutenant-Colonel March 1949. The unit fired an Artillery Salute on 1 April 1949 to celebrate the union of Newfoundland and Canada. The unit fired an Artillery Salute on 2 November 1949 in honour of the Prime Minister of India. The last of the coastal guns are removed from the Point Grey battery. The gizmo in question is behind the group of stalwart lads, one of whom (lower left front) is the redoubtable Vic Stevenson. 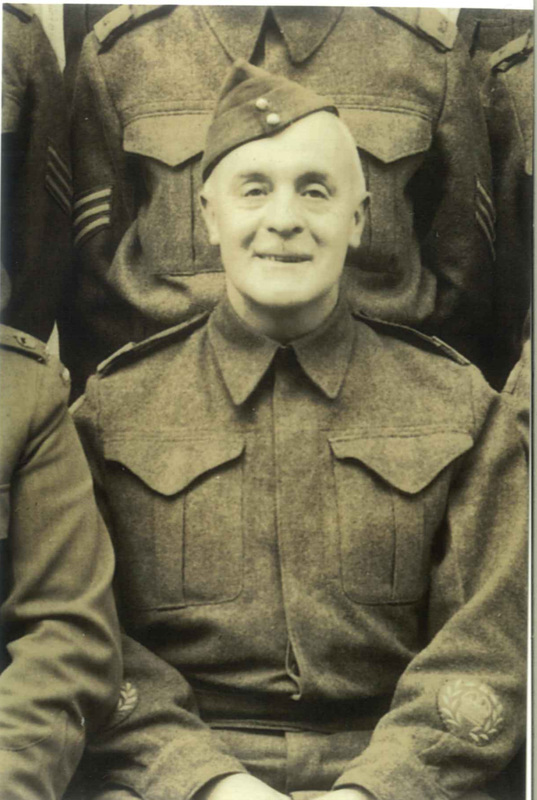 Vic had the photo taken in Esquimalt during a summer course in 1949. 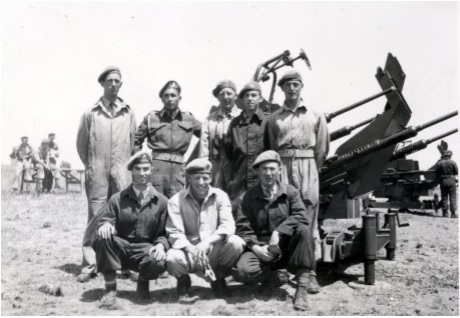 The course was put on by the Royal Canadian School of Artillery, (Coast and AA). The Bombardier in the back row is obviously an instructor and a veteran of WWII, while the others are all COTC lads. The gizmo in question is a Polsten Quad 20mm AA gun. This was very similar to the Oerlikon, but cheaper and of Polish derivation and Canadian manufacture. ​H.Q. 1 A.G.R.A Brig.H.E.Wright, E.D. 18 Fd. Maj. D. J. Watson, M.C., E.D. 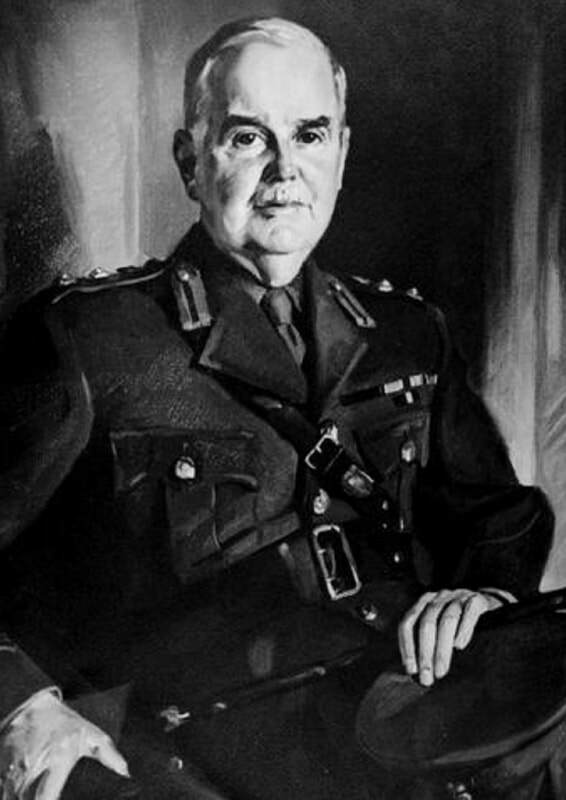 AND THAT immediate steps be taken to establish some early warning system however simple, AND THAT the War Establishment of all Units designated for home defence be made to conform with the actual requirements of the localities they are to defend and on the minimum possible manning scale rather than to the rigid framework of the normal war Establishments. THAT this enlistment of women be made effective at the earliest moment especially in the Artillery Supporting Arms and Services of the Anti Aircraft and Coastal Defences. WHEREAS Cadets and their parents should not be expected to furnish boots and shirts at their own expense, Now THEREFORE BE IT RESOLVED that the necessary steps be taken to ensure that Cadets belonging to regular Cadet Corps be issued with boots and shirts at public expense. 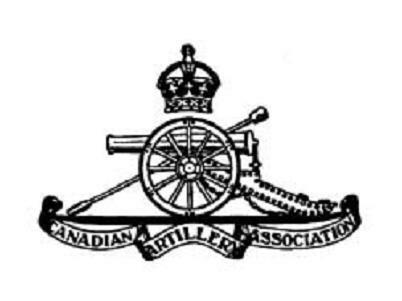 NOW THEREFORE BE IT RESOLVED that the Royal Canadian Artillery desire of the proper authorities and urge that the miniature gun badge now taken into use on the beret in Great Britain be authorized for use on the beret in the Royal Canadian Artillery. NOW THEREFORE BE IT RESOLVED that the delegates of the Artillery Association to the Conference of Defence Associations be authorized and instructed to conform to whatever decision may be reached by the representatives of the Infantry Association for the disposal of the funds contributed.